West Virginia forward Esa Ahmad (23) looks to make a move against Kansas this season. The Mountaineers senior was dismissed Monday, along with junior Wesley Harris. 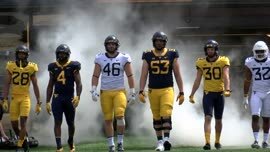 MORGANTOWN, W.Va. — West Virginia dismissed senior Esa Ahmad and junior Wesley Harris for violating athletics department policies, adding upheaval to an already disappointing season. 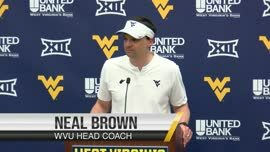 No other information was provided in Monday’s news release, though WVU’s sports information department confirmed to The Dominion Post and MetroNews that both players remain enrolled in school. The forwards were leading West Virginia in playing time this season, with Ahmad averaging 28 minutes per game and Harris 25. Ahmad, a former four-star recruit, started 102 games for the Mountaineers and was averaging 12 points and 5.8 rebounds this season. 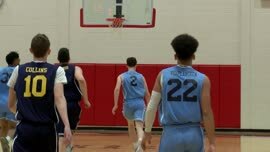 He already served a half-season NCAA suspension last year, a penalty consistent with testing positive for a street drug at an NCAA championship event. Harris started 54 games over two seasons at West Virginia and was averaging 7.9 points and 4.5 rebounds this year. The 6-foot-8 forward was benched for two games — Nov. 24 against Valparaiso and Jan. 12 against Oklahoma State — but was regarded as the team’s top perimeter defender. 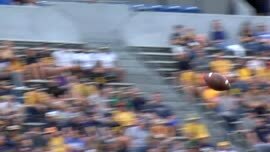 Harris still faces a battery charge stemming from a Morgantown traffic altercation last July in which he reportedly broke the nose of another motorist. If convicted, Harris faces up to a year in jail and a fine up to $500. 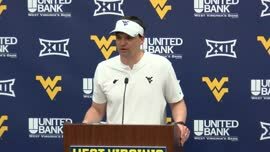 With Ahmad and Harris off the team, and Sagaba Konate and Beetle Bolden sidelined by injuries, West Virginia (10-14, 2-9) figures to have only nine scholarship players available for Saturday’s game at Kansas. That group of nine — which combines to average 26 points per game — includes five freshmen. Junior forward Wesley Harris started 54 games in his two seasons at West Virginia. He was regarded as the team’s top perimeter defender.